Ball Heating & Air Conditioning was founded in 1985 by Mike Ball. His goal was to provide an exceptional level of comfort to his customers. Today, we have grown to a staff of eight people who provide extensive heating and air conditioning services to the Wichita area, and we still focus on that original goal. Our team of experts is dedicated to providing each of our clients with the highest quality heating and air services possible, and to help them achieve the highest levels of comfort in their homes. Whether you just need simple repairs or maintenance, or you're retrofitting an existing system with a superior comfort system, our team can provide you with personalized service that you can rely on. Your Complete Satisfaction is Guaranteed: Our number one guarantee is your complete satisfaction. Our job is not done until you are completely satisfied. No Surprises Guarantee: Once the job starts, the price quoted is the price you pay, even if the job entails more work or materials than we estimated. Equipment Removal and Disposal Guarantee: We will remove all old equipment, materials, and ductwork from your home and dispose of them properly and in compliance with all laws and regulations. Code Guarantee: The installation will comply with all city, county, state, and federal codes and guidelines. Warranty Guarantee: The best in the business! A full two year limited warranty. Environmental Guarantee: We guarantee that all refrigerant work performed will be done in compliance with EPA guidelines and rules so as not to affect the ozone layer or the environment. Licensed and Insured Guarantee: All of our installations are performed by licensed and insured professional to ensure your family's safety and comfort. Performance Guarantee: We guarantee your new home comfort equipment will perform to factory specified standards. Neat and Clean Guarantee: We will keep our jobsite neat and clean. Each evening, the jobsite will be cleaned and picked up. After we leave, your home will be as clean and neat as when we arrived. 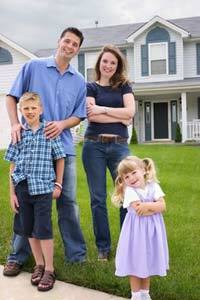 We have been providing service to homeowners in Wichita and the surrounding areas for over 20 years. So you'll enjoy the security that comes with working with a well-established company with a proven track record. We are family owned, so you'll be getting personalized service that you won't get from bigger businesses. Our employees are technically skilled professionals. You'll be working with a comfort specialist, not a wage laborer. We use only quality materials and the best equipment. You'll know that the equipment we install in your Wichita home is reliable efficient. Each of our employees has invested 40 hours a year in their education. We know your equipment inside and out. We abide by the rules. We adhere to all EPA laws and the Clean Air Act. All of our technicians are certified to recover refrigerant. We purchase a permit for every job that requires one. We have invested in state-of-the-art trucks, tools, technology, and training. We are members of Wichita's Local Area Chamber of Commerce. Our founder, Mike Ball, is currently President and is a founding member of the Kansas Cooling Contractors Association. We have a Quality Assurance Specialist inspect every job after completion and explain your system to you. We also make sure that you know how to use your new system and customize its settings before we leave. You'll have the confidence of knowing your comfort system and understanding how it works. As our customers and associates will attest, we have a proud and award-winning business history. With our history of satisfied customers, you'll be in good company when you invest in a comfort system from us. 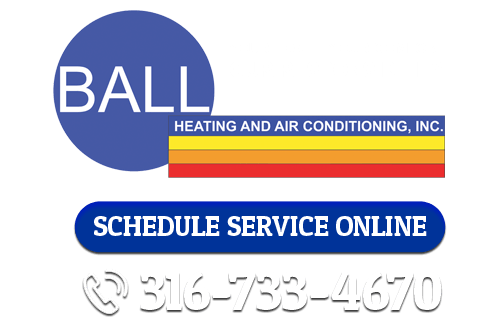 If you're looking for heating or air conditioning services in the Wichita area, call Ball Heating & Air Conditioning at 316-733-4670, or fill out our online request form.